Our goal is to improve the lives of the engineers we serve. For 50 years, Ball Systems has served companies developing and manufacturing critical electronic or electro-mechanical components for automotive, aerospace and defense, and consumer appliance applications with build-to-print and custom designed test systems. Operating as a nimble extension of your team, we can get you up and running quickly with minimal process overhead. 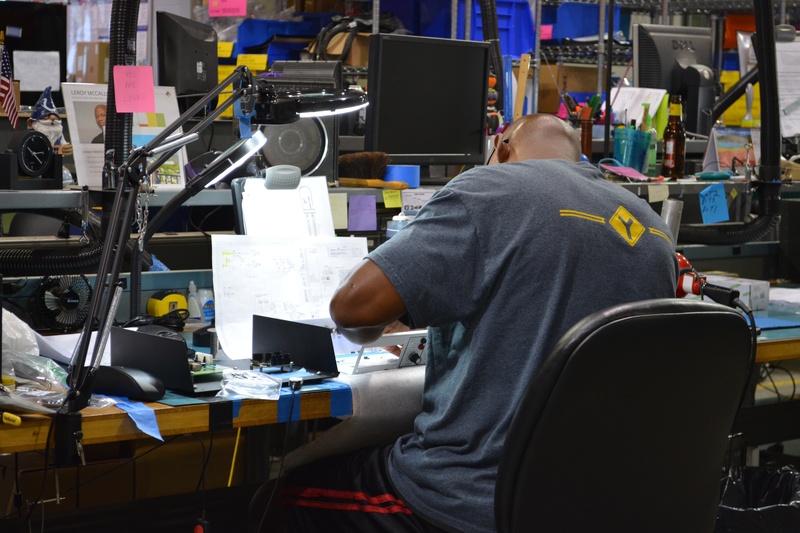 Our teams stay in close communication with you throughout each engagement, ensuring test systems pass critical milestones before moving forward and are designed to meet the needs of your final components or products. We’ve structured Ball Systems to be a fully integrated enterprise. We have the capability and facilities to design and manufacture test and automation solutions ranging from small table-top systems to fully integrated production lines. Our cross-disciplined project teams leverage years of both corporate and private manufacturing and process engineering experience at Fortune 1000 companies. Whether your project is software only, hardware design-only, purely mechanical, electrical and mechanical, design and build, or build-to-print, we can address your needs completely in-house, and thus are able to explicitly control the success of your solution. We provide seamless customer support and efficient product delivery with our geographic footprint. The philosophy of Ball Systems is quite simple. Our goal is to add value to our customer’s project and test development teams. We work as an extension of our customer’s team by designing and building equipment and software solutions that exceed your expectations and requirements. Depending on our customer’s needs, our services range from build-to-print to unique design. Our equipment is used for a multitude of electronics testing, measurement, and control purposes, in addition to research and development applications. We have a strong foundation of premium quality, cost efficiency, on-time delivery and responsiveness with diverse technical expertise, a customer service philosophy and strategic vendor relationships. High Performance Results – Always. Quality is not a differentiator, it’s a requirement, and the engineering must meet your needs. What sets us apart is how we get you there. Our processes have been honed to consistently deliver high quality, innovative, durable, systems on-time and as-promised. Our experience spans the entire product life cycle within your organization, including expertise ranging from product modeling and prototyping, through validation, into manufacturing test, and out to field service solutions. We’re equally skilled at developing cross-enterprise strategies as well as tactical execution of detailed test requirements. Ball Systems has an open-door policy, and our customers are welcome to visit regularly throughout their project’s development, production phases and through completion. Please know that we always take the necessary precautions to protect the confidentiality of other projects currently underway in our facility.